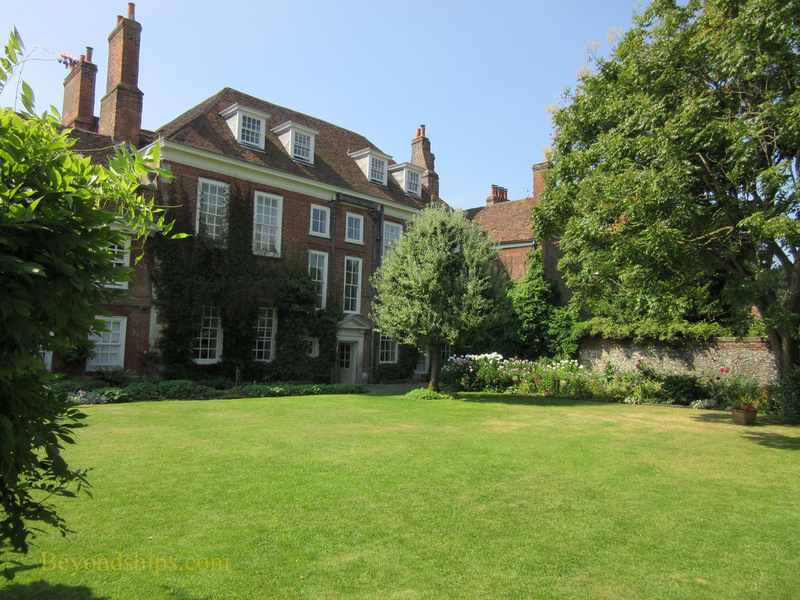 One of several fine houses in the Cathedral Close surrounding Salisbury Cathedral, Mompesson House is a Queen Anne period townhouse dating from 1701. It is elegant like a stately home but on a much more personal scale. The identity of the architect who designed Mompesson House is unknown. It has been speculated that the house was designed by Sir Christopher Wren but it also could have been done by a member of the Fort family, well-known masons in 18th century Salisbury. In any case, the main section of the house made of gray limestone has a classical balance of proportion. On either side are red brick wings, which are now separate properties. Over the centuries, Mompesson was occupied by several prosperous families. 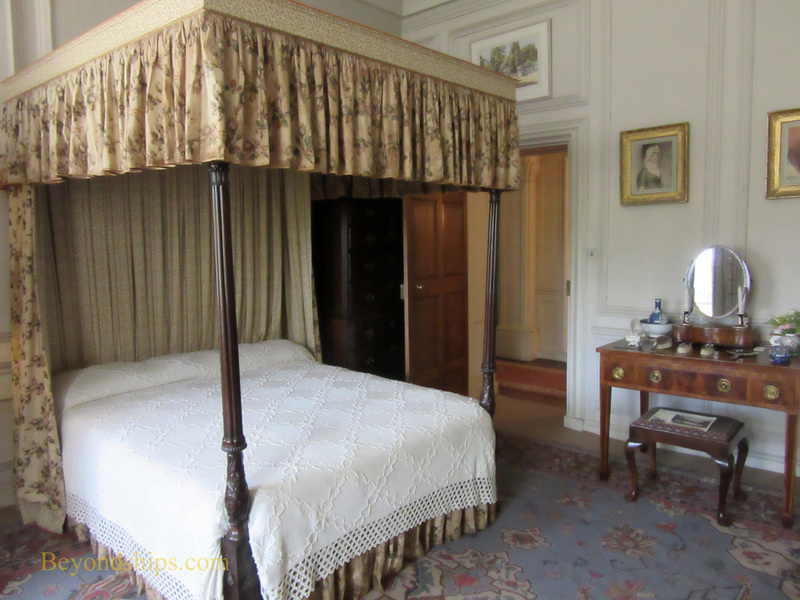 They were not at the top of the social ladder but were quite comfortable - - think in terms of the people that Jane Austen wrote about in her novels. Indeed, the house was used as a set for a movie adaptation of Sense and Sensibility in 1995. 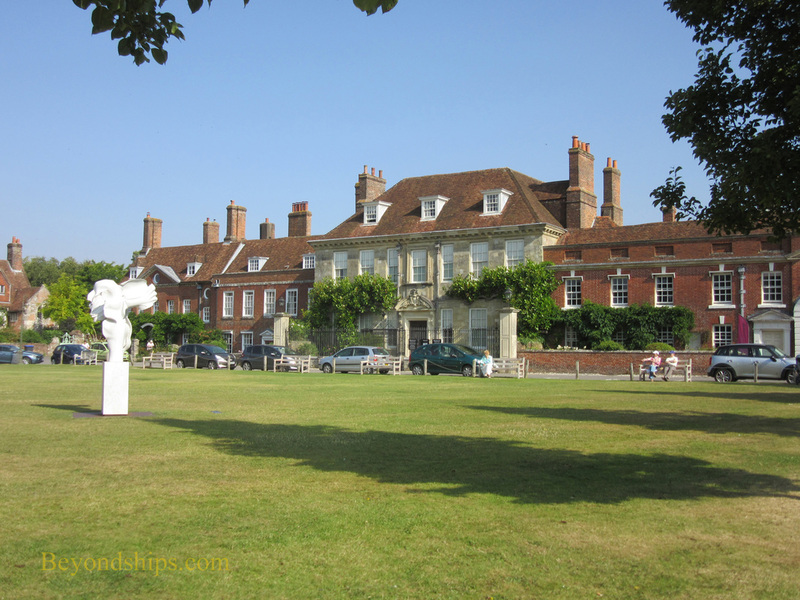 The present house was built for Charles Mompesson, Member of Parliament for Old Sarum, a notorious rotten borough with an electorate of only 10. His father, who had also been an MP, had inherited the leasehold on the property where the house now stands from his father. The land itself belonged to the Dean and Cathedral Chapter. Upon Charles death, the leasehold passed to his wife, Elizabeth Mompesson, who bestowed it on her brother Charles Longueville. In about 1740, he added the fireplaces, the center staircase and the large drawing room for entertaining on a large scale. He also added a brick wing to contain new kitchens and extra servants' accommodations. A bachelor who never married, Charles has been portrayed as a lonely and unworldly bibliophile. However, his dying wish was that his natural son John Clark should have the use of the house for his lifetime. Charles' next-of-kin, Elizabeth Mompesson decided to honor this wish. 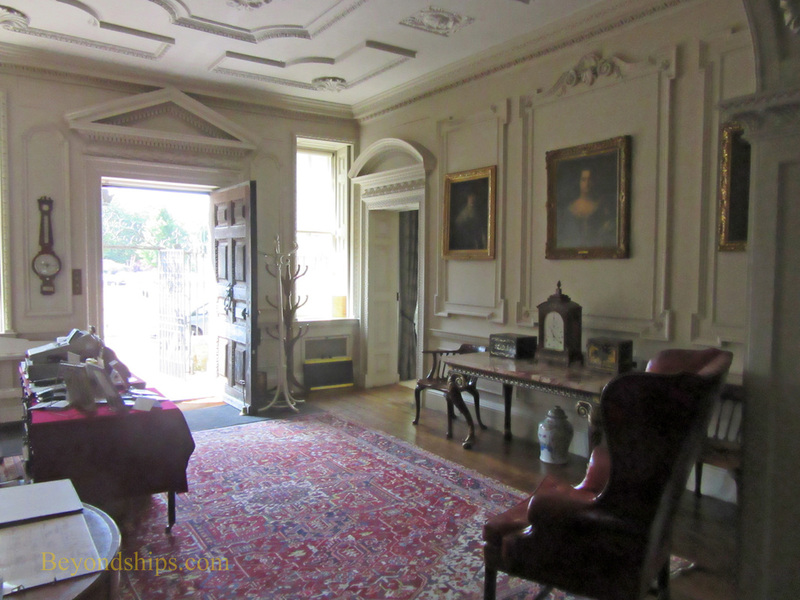 Although Charles' wish was honored, John Clark did not occupy Mompesson House for long. In her will, Elizabeth Mompesson gave her friends the Hayter family the reservation rights to the leasehold. When she died the Hayters bought out Mr. Clark's life interest and lived in the house for two generations. They were followed in around 1800 by the three Portman sisters. 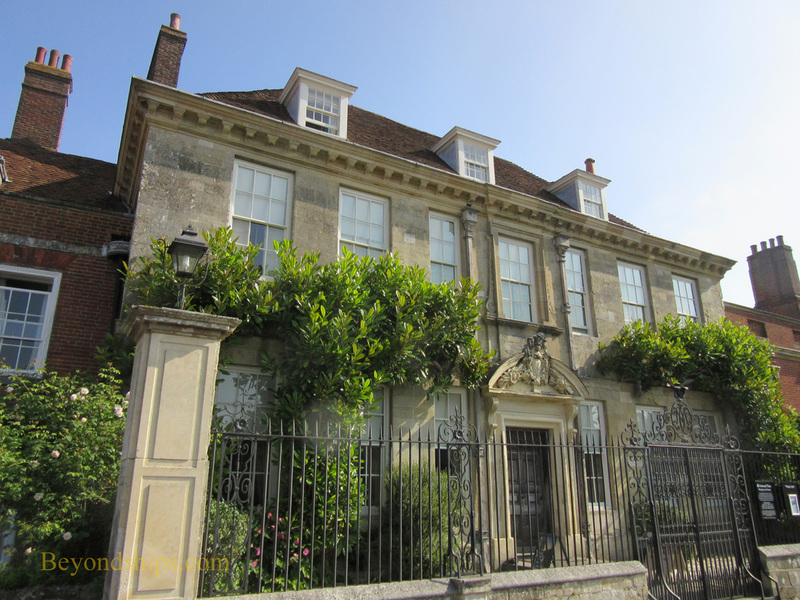 In 1846, Mompesson House became the home of local solicitor George Barnard Townsend and his family. One of his daughters, Barbara Townsend, lived at Mompesson for 95 years until her death in 1939. She distinguished herself as an artist and was often seen in her huge hat with an easel painting scenes in the Cathedral Close. Some of her works are on display in the house. After World War II, Mompesson became the residence of the Bishop of Salisbury. However, the house was found to be unsuited for this task and it was sold in 1952 to London architect Denis Martineau. Mr. Martineau donated the property to the National Trust but took responsibility for its upkeep so long as he lived there. To this end, he carried out extensive repairs to both the exterior and interior of the house. Following his death in 1976, the National Trust undertook a renovation of the main rooms. With the exception of one room that remains in the style Mr. Martineau created, the house is decorated as it would have been in the 18th century. 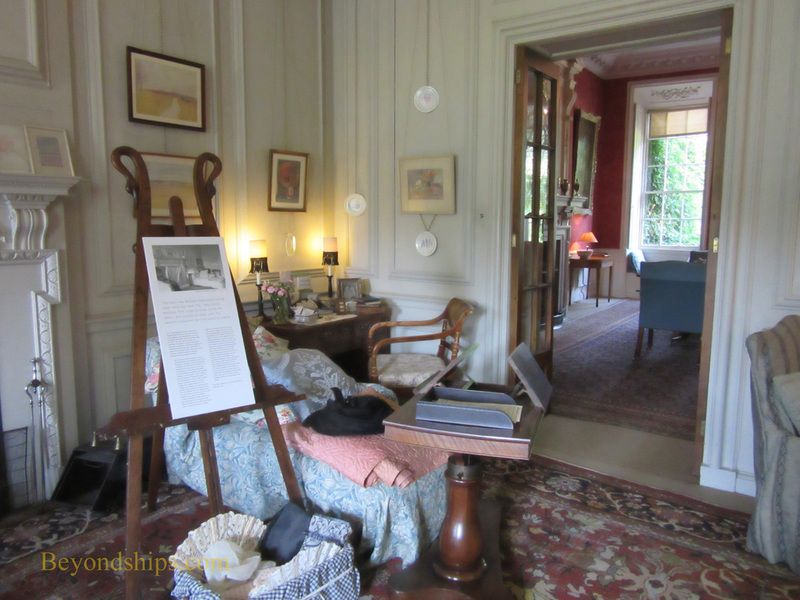 The house did not come to the National Trust with its contents so most of the furniture and artwork comes from the National Trust's collection or is on loan from other collections. 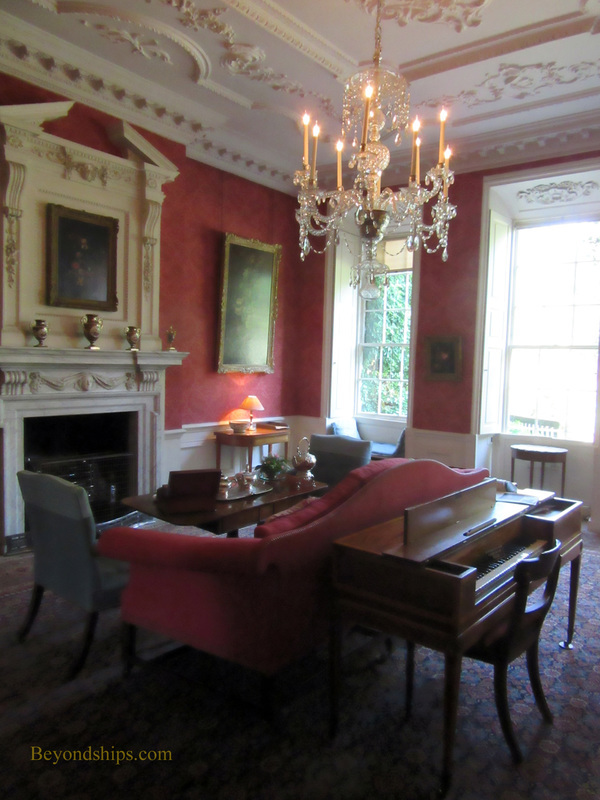 Nonetheless, the pieces merge into a whole and one can imagine Jane Austen's characters living here. Perhaps the most noteworthy feature of the house is the decorative stucco work that adorns some of the main rooms. This dates from 1740 when Charles Longueville owned the house. No one knows the name of the artist who created these designs. Such work was very popular then and there were many Italian and British artists working in this medium. Visitors take self-guided tours of the house. 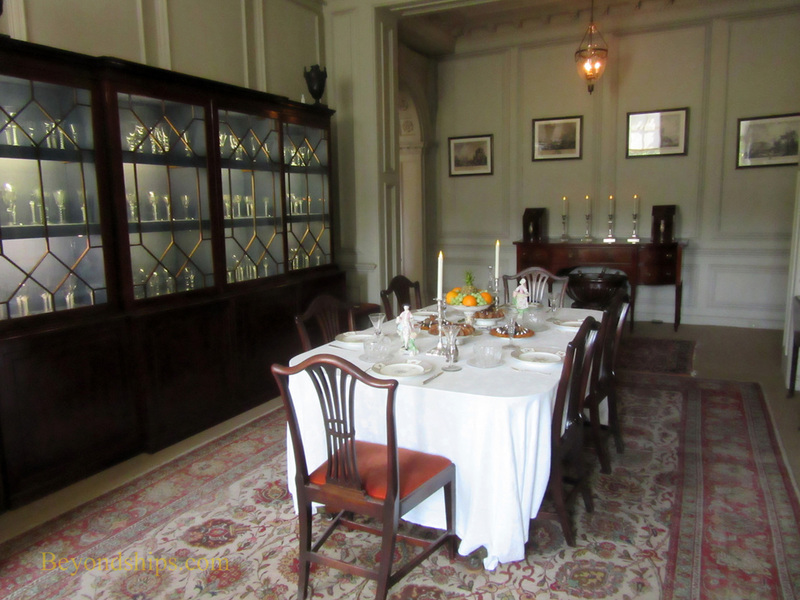 There are informational leaflets in the various rooms pointing out some of the noteworthy contents and often discussing how the room was used in Miss Townsend's time. In addition, National Trust volunteers are there to answer questions and talk about the house. The garden at the rear of the house is small but pleasant. Its basic layout was designed by Mr. Martineau. The National Trust has created a tea room in one of the out buildings adjoining the garden and in good weather you can dine al fresco. 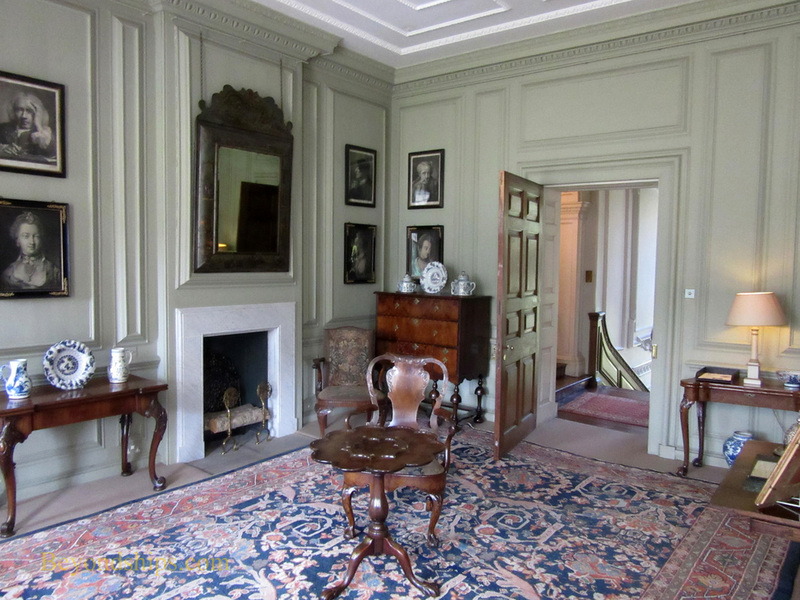 Above: The Large Drawing Room. ​Below: The Small Drawing Room. Even the less famous churches in Bath can be impressive. Above left: St. John the Evangelist Church. Above right: St. Michael Without Church. ﻿Left: Mompesson House from the garden.